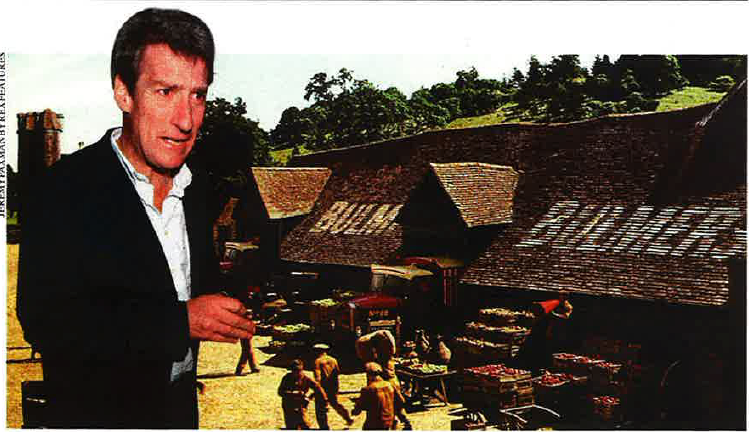 St Luke's Blog: Jeremy Paxman turns up at Bulmers shoot! There we were, a very busy weekend of creating our first Bulmers ad in Henley-on-Thames when Jeremy Paxman randomly stumbles upon the shoot with questions galore! "What the hell is going on?" he said in confusion! To be fair, actors in various war time themed costumes and frisbees flying everywhere would be a bit strange to come across on your Saturday ramble with the kids and dog! When St Luke's answered his University Challenge style questions he was very happy and he and his family went on their merry way!